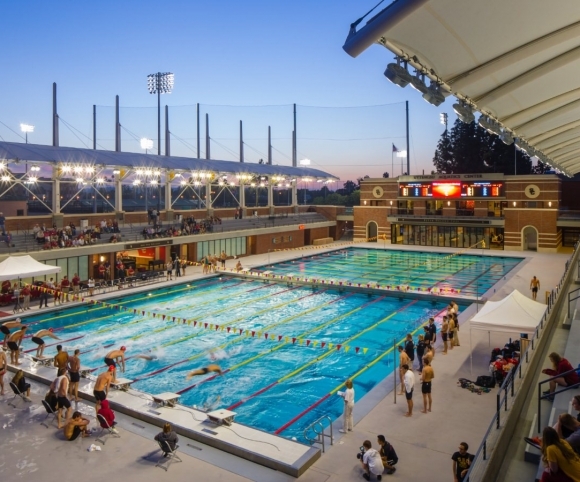 John A. Martin & Associates, Inc. USC Uytengsu Aquatics Swim Stadium - John A. Martin & Associates, Inc. 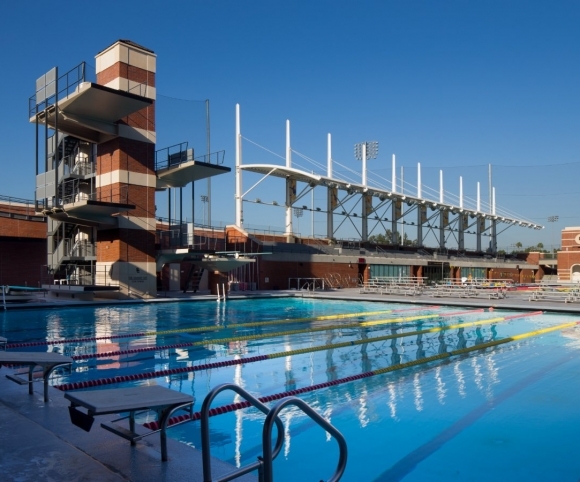 The $16 million renovation and expansion of the University of Southern California’s (USC) outdoor swim stadium into the Uytengsu Aquatics Center (UAC) provided new features including permanent seating for 1,500 spectators, a shade canopy structure, an updated dive tower, lighting for night time competitive events, and flex space to accommodate 2,500 spectators for larger events. Previously named the McDonald’s Swim Stadium, the facility originally opened in July 1983 and was constructed as the swimming and diving venue for the 1984 Summer Olympics. 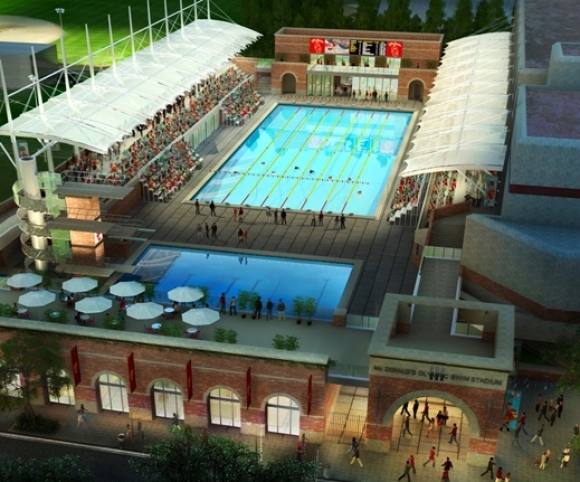 The addition of the UAC provides ancillary function and viewing space in three connected buildings – the coaches building, the south building, and the dive training center – that create a walkable elevated corridor around the original dive and competition pools. The updated center provides an array of student-athlete and coach amenities including new locker rooms, team rooms, lounges, and offices.